Cambodian Prime Minister Hun Sen on Saturday expressed a deep sympathy to Japan over the massive earthquake that struck Friday and donate 100,000 U.S. dollars as relief to the victims. In a message to Prime Minister of Japan Naoto Kan on Saturday, Hun Sen wrote: "I feel extremely saddened to hear about the loss of hundreds of lives, many injuries and colossal damages in the most powerful earthquakes and Tsunami that struck your country in the afternoon of March 11." Hun Sen further said, "On behalf of the government of Cambodia and Cambodian people, may I convey to Your Excellency and the people of Japan, particularly the victims and members of the bereaved families my deepest sympathy and profound condolences on the tragic losses and great suffering brought about by this natural disasters." 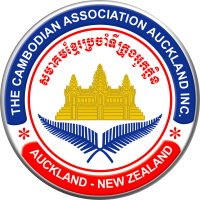 The government of Cambodia would also like to make a very modest contribution of 100,000 U.S. dollars for the relief of the victims, he said. Meanwhile, Cambodian Foreign Minister Hor Namhong also sent a message to his Japanese counterpart Takeaki Matsumoto to express his deepest sympathy and condolences to the people of Japan on their losses and suffering due to this natural disaster. Hundreds of deaths and extensive devastation have been reported since the earthquake, measuring 8.8 magnitudes on the Richter scale, hit northeastern Japan on Friday afternoon and triggered a massive tsunami in the Pacific Ocean.